Winter Kate has been nominated for two Company Magazine Fashion Awards. You can vote by clicking here. It’s free and you don’t have to sign up. Nicole is adding to her fashion prowess by designing a capsule collection for Macys Impulse. The collection will include 24-30 pieces and will be available in store and online this September. “This collection has a strong mix of masculine and feminine: printed chiffon mixed with faux leathers,” Richie told WWD. Additionally the collection will also include bold jewel tones and other favoirite aesthics that Richie uses in her existing collections for House of Harlow 1960 and Winter Kate. Richie fans can also experience another side of Nicole with her debut fragrance, Nicole by Nicole Richie, which also launches in September. Nicole Richie’s début perfume, Nicole, is set to be released in September, and she plans for two more! Read more about it here. Click on the photo above to see the new autumn/winter 2012 collection of House of Harlow 1960 shoes! 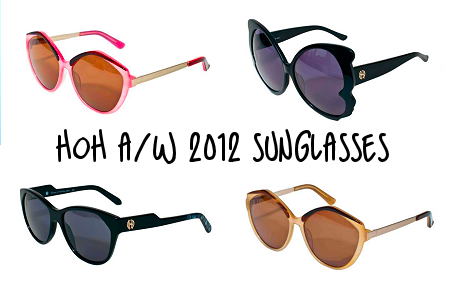 Click on the photo above to see the new autumn/winter 2012 collection of House of Harlow 1960 sunglasses!